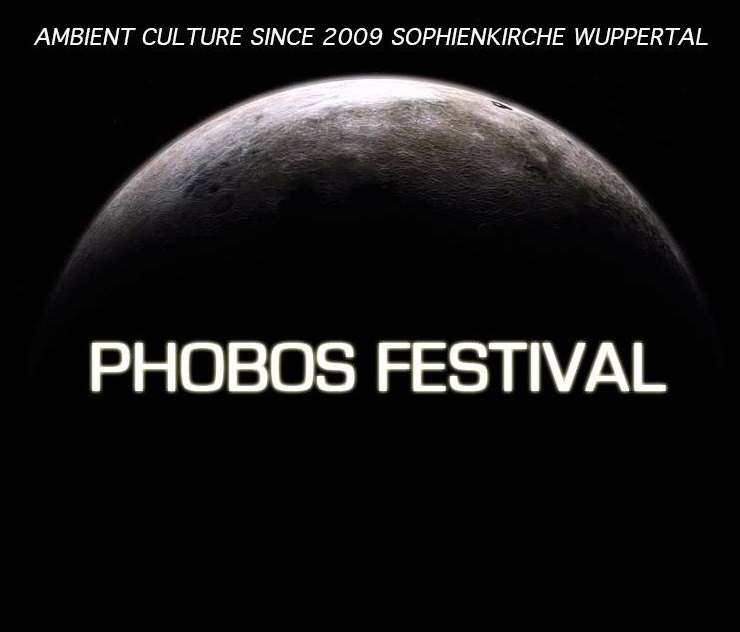 It is with great pleasure that I present to you the video footage for all four full sets from Phobos X. Martin (of Phelios / Sphäre Sechs and the man behind the annual Phobos Festivals in Wuppertal, Germany) was kind enough to add some substance to this collection with an introduction, detailing his thoughts on the Phobos festivals – in general, as well as this year’s festival – in particular. So, without further ado, I give you Martin Stürtzer! 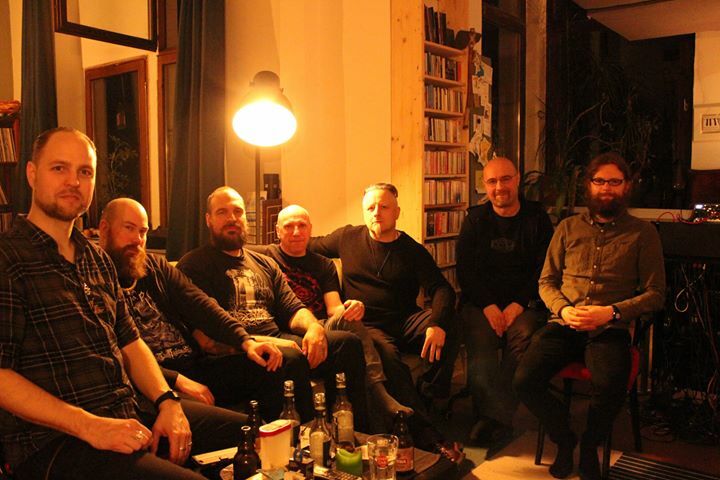 Phobos X marks the ten-year anniversary of a series of concerts focused on dark ambient music. When I started to release music with Phelios, I was often annoyed by the way this kind of music was presented in a live situation. People talking, no seats and bad amplification are side-effects that I encountered a lot as a musician and as a guest. My idea was to present this music in an ideal environment where both artists and listeners can focus on the atmospheric sounds and video projections. 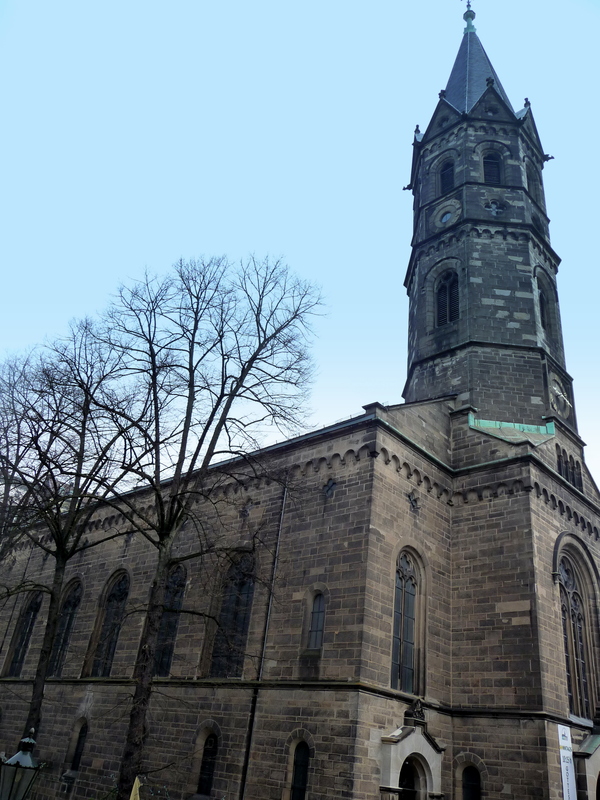 The church (Neue Reformierte Kirche Wuppertal) has a long tradition with experimental arts and music and offers the perfect space for this event. The four concerts were recorded with two cameras. The audio signal is from the mixing desk and also two room microphones to capture the reverb and ambience of the church room. It is rather dry compared to large cathedrals, but still noticeable. Arktau Eos played with the room acoustics by walking through the church during the performance and playing several un-mic’d instruments. What you don´t see on the videos is the meeting point and place of social gathering that the Phobos Festival has become over the years. There are large stalls from the labels where new releases are presented and where you can chat with the artists about their music. In the breaks between the concerts is time to talk to each other, exchange the experiences of the music or simply meet like-minded persons. The guests arrive from all over Germany and other countries. My idea of this video coverage is to give listeners who live too far away the opportunity to listen to the concerts for the first time – or to re-listen at home in a familiar listening situation for the audience. The friday-meetings became a classic of this weekend. Most artists arrive a day before the shows and we use the rare opportunity to talk about our music, the struggles of modern music „industry“ and our individual approaches to music. My personal highlight of this weekend was the guys from Arktau Eos playing the synths in my home-studio in underpants, after we got struck by heavy rain on the way from the church home to my place. One bag was lost in the flight and we were checking which of the instruments could be replaced by gear from my studio. It was good luck that the bag was delivered a few hours before the show on Saturday. Phobos X musicians at the Friday meeting before the event. Check out TeHÔM’s latest full-length release on Cyclic Law, Lacrimae Mundi. Also, their most recent album, Live Assault on Essentia Mundi and Cyclic Law, which we reviewed here. Check out Vortex latest album, As Gods Fall on Cyclic Law. Check out the latest album by Arktau Eos, Erēmos on Aural Hypnox. We reviewed Erēmos here. Also, we very recently interviewed Arktau Eos here. For more videos from previous Phobos Festivals as well as the musical workings of Martin Stürtzer, subscribe to Martin’s Youtube Channel. Check out his musical projects Phelios and Sphäre Sechs, as well as his recent eponymous release.